Susanne Beir’s latest film offers a stark view at Socio-Economic and Moral parallels and juxtapositions in this haunting film about hard choices, and regretful mistakes. A Second Chance is a uniquely touching and moving film that offers an unflinching look at a very difficult situation, when a pillar of the community Andreas (Nikolaj Coster-Waldau) and his wife suffer a terrible loss, he makes a rash decision and puts into place a tense, heartbreaking story which we get to watch play out to the bitter end. Somehow in a group of 3 I was the only one aware of the film’s subject matter, which left me somewhat emotionally prepared for the the harrowing experience that is A Second Chance. That’s not to say though that I was unaffected by it. This film is heavy, and not a pleasant ride, but so far it has struck me as being the best of my festival experience in terms of delivery of concept. The acting is subtle and and the dialogue deftly written. Even with minimal exposition you are quickly engaged in the lives of the cast and are able empathize with every terrible decision that follows. I can even imagine watching it again someday, though surrounded by unlimited Kleenex. 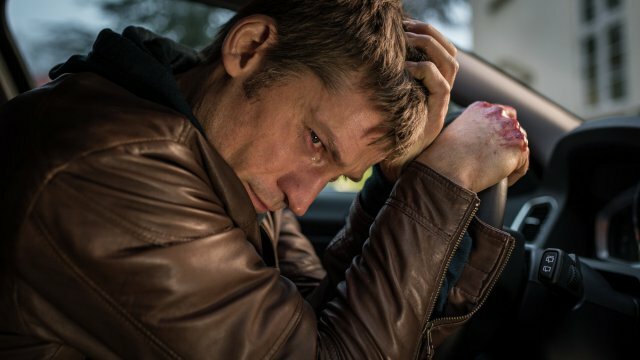 I was so excited to see Coster-Waldau acting in his native tongue that I would have gone to any movie he starred in. Jamie Lannister is (in my opinion) the most complicated character of Game of Thrones and Coster-Waldau has done a masterful job on the show. I had no doubt that he could portray other characters with similar moral complexity, but I was not prepared for exactly how good he is (very, very, VERY good!). I haven’t yet experienced any of Bier’s other works – but don’t judge me because the writing casting and directing of En Chance Til have left me enthralled by her vision of the world and I cannot wait to see more. Before the film, Susanne Beir said reassuringly that she hoped the audience would be “okay” after watching the film. Angelina reminded me that we were given a similar warning before We Need To Talk About Kevin. I think that there should be a specific type of rating system that involves an upgrade for Parents. As Tycho from Penny Arcade once said: “Children carve something out of you, a place for themselves; people can twist the knife in that spot, and it just bleeds and bleeds.” That being said, of the three of us, the non-maternal self-confessed baby-hater cried the hardest. This film is brilliant, but it is emotionally exhausting. The acting is spot-on, the entire film is so realistic you almost wish it wasn’t, for the relief of being reminded that, “it’s okay, you’re just watching a movie” which it never provides. Not only do I hope that this film earns the awards and accolades that it very much deserves, more-so I hope that it gets a wide release – because for Emotion Junkies like me, this is The Quality Stuff.